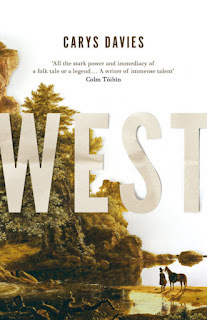 Insomnia and the railway-line night work beyond my garret window means I have just re-read and line-by-line dissected West by Carys Davies. Already a huge fan of her short stories, I can't recommend this enough – the best debut I've read so far this summer. A beguiling, page-turning American fable seeped in desire and devotion, devastating grief, and the search for wonder beyond life's comfort zone all written with a deft economy and a simmering, shimmering 'coal and salt' humour.